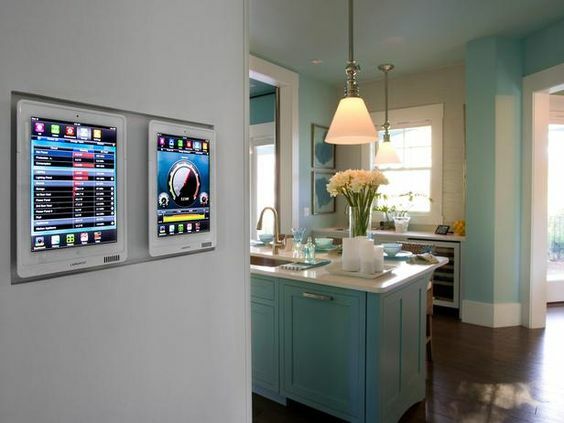 The control device can be anything that connects to the internet; cell phone, iPad, computer and even some smart televisions will have an app that allows you to put your various systems to sleep or turn them on. You can set the alarm, see who is at your door and even adjust the thermostat with a smart home system, the possibilities are as limitless as the technology allows. Fortunately, turning your home into a smart home is easier and more affordable than you might think. Before you build a new home or start a remodel, it’s important to start mapping out what will be integrated into the new home technology. If you know before you start a project what will be “Smart” and what won’t it will save you on materials and labor. The first thing you need to figure out is how much functionality do you want for your smart home and what subsystems such as; lighting, security and whole-house audio do you want to incorporate. The best way to choose is to ask: what is important to you if you are away from your home? Every one will have different priorities so each solution will be different. At this point, it’s ideal to set up your budget based on your priorities. Wiring for future components now can eliminate untold retrofitting headaches in the future. But if you are wiring a existing home, allow in your budget for possible issues when you start breaking into your walls and repairs to the walls you make while running new wiring. You may also be able to shop around for the best prices for the materials you will need. Consult a professional on the materials to verify you are getting wiring that will sustain the project requirements and are up to code for your area. Now you are ready to conquer your next project!